The history of the Department of Clinical Psychology at the John Paul II Catholic University of Lublin is connected with the start of classes conducted by prof. Zenomena Płużek in the Department of General Psychology, which was then directed by Fr. Prof. Józef Pastuszka (1958). 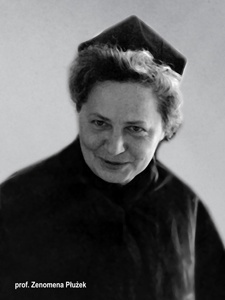 In 1972 newly established Department of Clinical and Personality Psychology was entrusted to prof. Zenomena Płużek, who directed it until her retirement in 1997. At that point prof. Piotr Oleś took over a role of a chair of the department. In 1997, within the Department of Clinical Psychology and Personality three subordinate structures were distinguished: Sub- Department of Psychology of Personality - headed by prof. Peter Oleś; Sub-Department of Children and Youth Clinical Psychology - headed by prof. Leszek Szewczyk and the Sub-Department of Adult Clinical Psychology- headed by prof. Stanisława Steuden. Further development and expanding of the team faculty and increasing number of doctoral students (who were also conducting classes), and above all increase in the autonomy of the scope of its scientific programs resulted in separation in 2004 into two independent departments: the Department of Psychology of Personality - headed by prof. Peter Oleś and the Department of Clinical Psychology - headed by prof. Stanisława Steuden. Today the Department of Clinical Psychology consists of two sub-departments. The first team, led by prof. Maria Oleś, worksin the field of children and adolescents clinical psychology. Members of his sub-department are: Elżbieta Talik, Ph.D, Małgorzata Łysiak, Ph.D and Elżbieta Januszewska, Ph.D. The second team, led by prof. dr. Stanislawa Steuden, implements a program of teaching and research in the field of adult clinical psychology. As a members of the team working together are: Katarzyna Szymona-Pałkowska, Ph.D, Maria Gałkowska-Bachanek, Ph.D, Bernarda Bereza, Ph.D, Dorota Mącik, Ph.D and Fr. Paweł Brudek, Ph.D.
Department staff is actively involved in scientific research and knowledge. Results of testing conducted by our staff, as well as in collaboration with other research centers are published in renowned Polish and international scientific journals and in the form of peer-reviewed monographs. Beside of scientific activity members of the department staff also run their psychological practice dealing with psychological counseling, psychological diagnostics and therapy. psychosocial factors in the development of disorders in gynecology and obstetrics.